We're Here To Help.org » Don’t Give Up Hope! Mortgage Programs Available to Help! Don’t Give Up Hope! Mortgage Programs Available to Help! If you think you don’t qualify for a mortgage, don’t give up! There may be hope—if you know what to ask your lender. Currently, there are a variety of programs that were created in order to help people refinance an existing mortgage or purchase a home. In addition, there are policy changes that have begun opening doors for some borrowers. Therefore, there are several options to consider, depending on what your situation is. 1. If you are retired: In the past, a lender would have told a pension-less retiree that they needed to show they were taking regular distributions of a certain amount in order to cover their mortgage payments. But now, balances in retirement accounts can be used to determine mortgage eligibility—without touching the funds. This is because of a recent rule change at Fannie Mae. 2. If you are a cash-strapped homeowner: The Home Affordable Refinance Program (HARP) is a government-issued program that allows people whose home value has declined to refinance so they can have lower, more affordable rates. Homeowners can sometimes owe more on their mortgage than the home is currently worth! Although this program has been in effect for years, there are many who still could qualify. Some of the people who currently qualify, may have applied for a HARP refinance in the past and had been denied. Since then, the rules have changed and now the program doesn’t require an appraisal. They also have removed the cap on how much a homeowner could be “underwater” on their current mortgage. In addition, those with a current mortgage backed by the Federal Housing Administration may be eligible for the FHA Streamline program, which has no income requirement. Lenders market FHA203(k) mortgages more heavily in urban areas, but properties that qualify for these “mini construction” loans can be located anywhere. 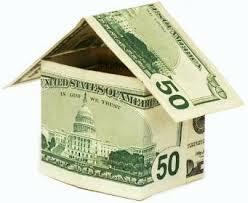 Essentially, these loans allow people to purchase a home and finance improvements in one mortgage. The mortgage amount is based on the estimated value of the property once the improvement work is completed, while factoring in the cost of the work. While the program is a benefit for homes like abandoned foreclosure properties, it can also be used for more less dramatic upgrades, such as modernizing the restrooms, or carpeting throughout the house. The main point that you have to remember is that the upgrade must increase the value of the home. Coming up with the funds for a down payment can be the biggest struggle for first-time home buyers. But there are several ways to seek help. State and local governments, employers and lenders offer assistance funds for home buyers who are expected to be successful as homeowners. In this case, buyers are often asked to complete a homeownership course in return. Moreover, there is at least one avenue for 100% financing still available for buyers in the more rural areas of the country. That’s the U.S. Department of Agriculture loan program, and you would be surprised who makes the cut. Therefore, don’t lose hope. When you think all the doors are closed, a window will most surely open. Buckle down and do your research and you will soon reap the rewards. This entry was posted on Wednesday, October 9th, 2013 at 8:36 pm	and is filed under Sacramento Short Sale and Sacramento Foreclosure News. You can follow any responses to this entry through the RSS 2.0 feed. Both comments and pings are currently closed.